Faheem Rasheed Najm is an American rapper turned singer/songwriter, actor, and record producer. He is better known by the stage name he adopted, T-Pain. He has had a very successful career since 2005 that has included winning two Grammy Awards. The focus of this discussion, however, will be the T-Pain dreadlocks hairstyle. While many people believe that dreadlocks are created by stopping all hair care procedures. The truth is that this is a high-maintenance hairstyle that requires a lot of work. He had to grow it out long enough to start the process of dreading. Next, he had to get the dreads started by combing his hair backward, toward the scalp. This was done in short sections working out to the tips. He sometimes wears beads on the ends of the locks. This is not always the case, however. As the locks grows out, he has to twist the new growth into his existing dreads. It is important to keep everything clean because the natural oils that can accumulate will keep the hair strands from tangling together properly. However, he probably never uses any sort of conditioner on the hair. This means that it is somewhat dry and prone to damage if care is not exercised. 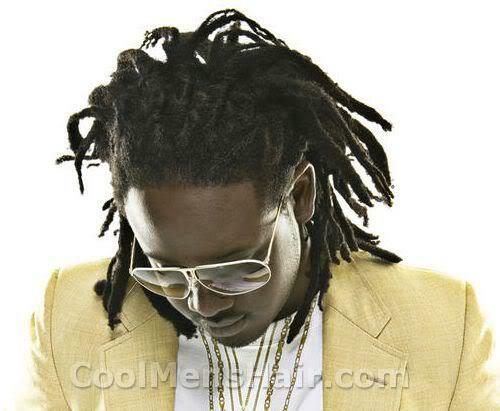 The T-Pain dreads hairstyle is one that will be difficult to change on a moment’s notice. Most men who dread their hair have to cut the tangles out of their hair and let new growth come in before they can take on a new style. This is a high maintenance style despite the appearance that the hair is tangled because he does not take care of it. He has to spend a great deal of time each day working on his hair to keep it growing and properly trained as well as working to prevent damage from the hair becoming too dry.